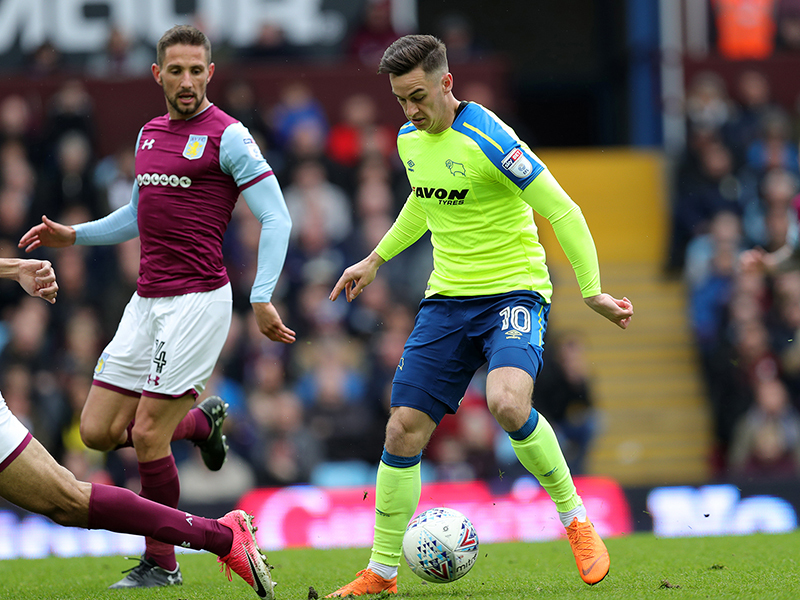 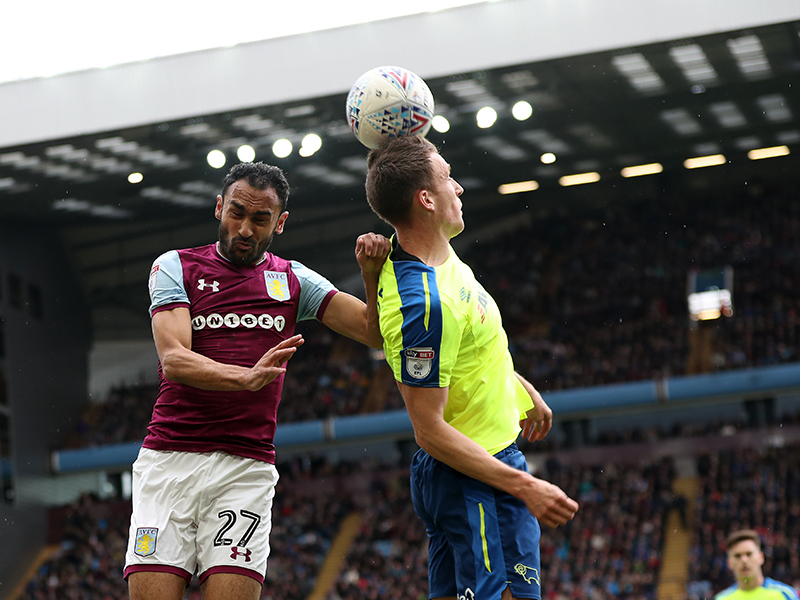 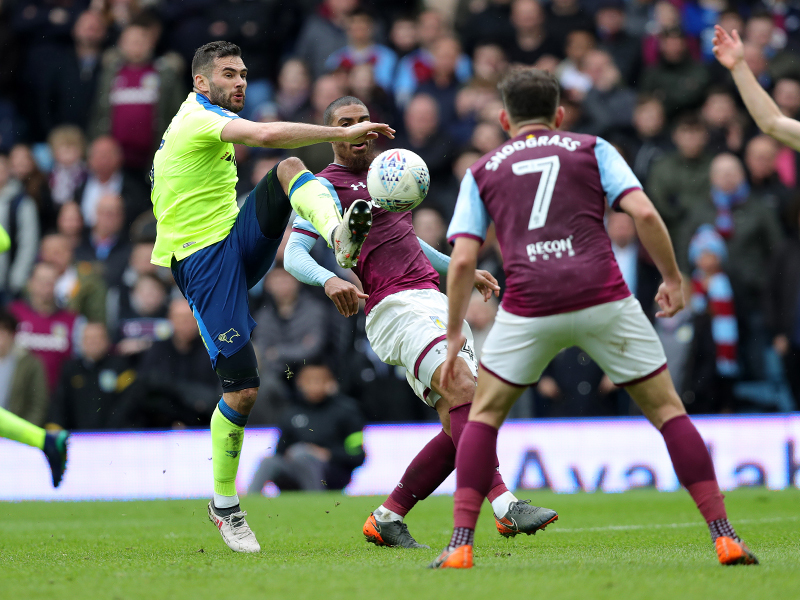 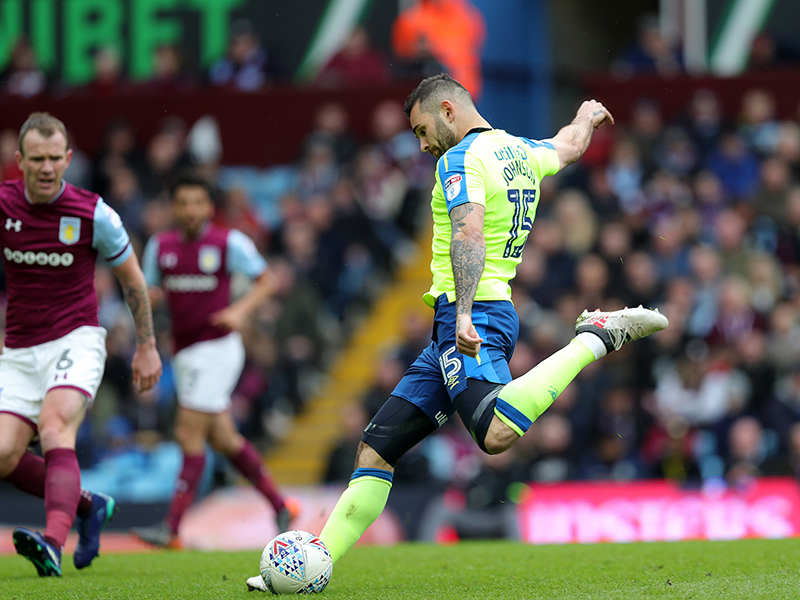 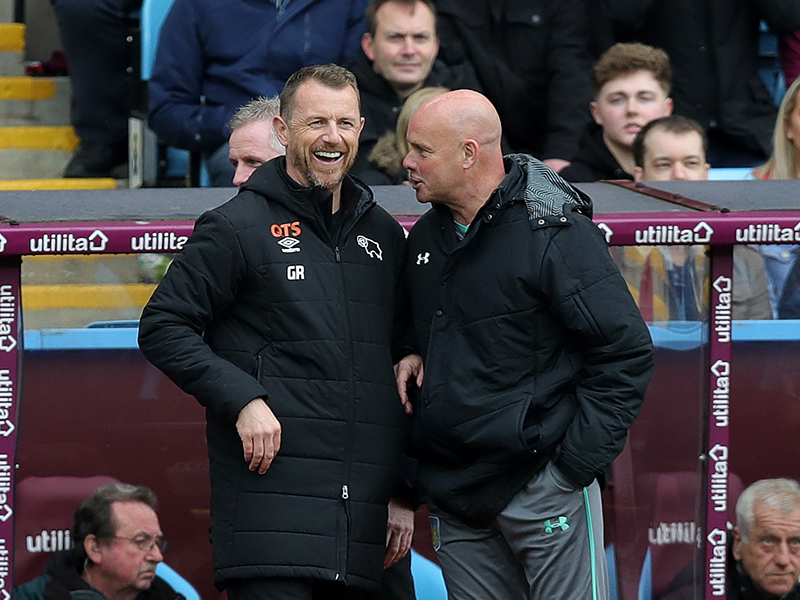 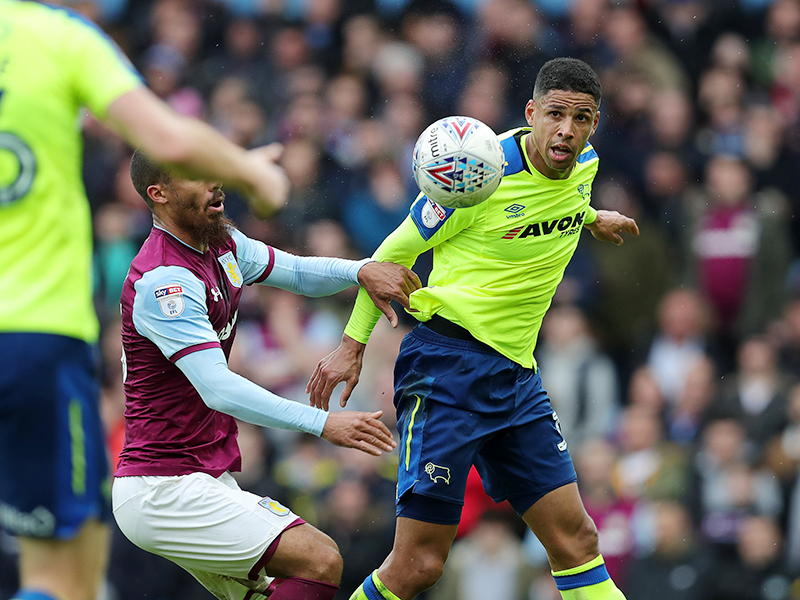 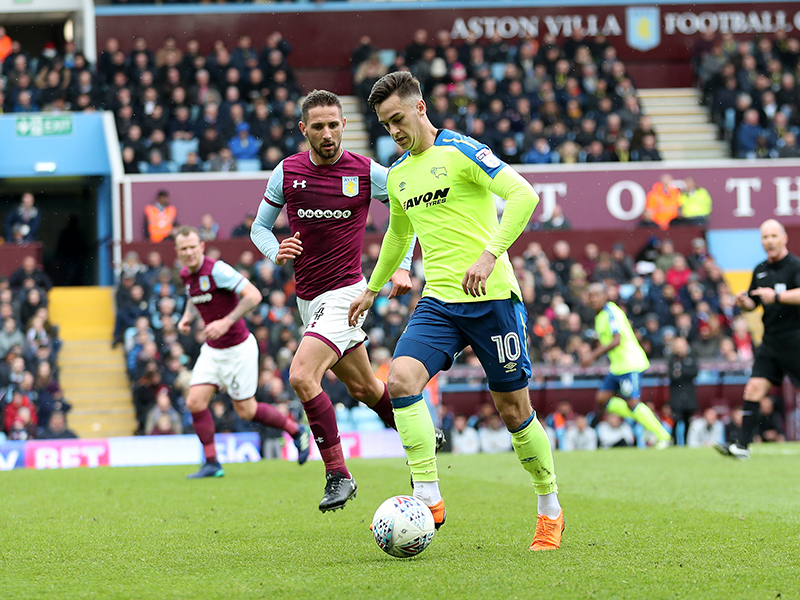 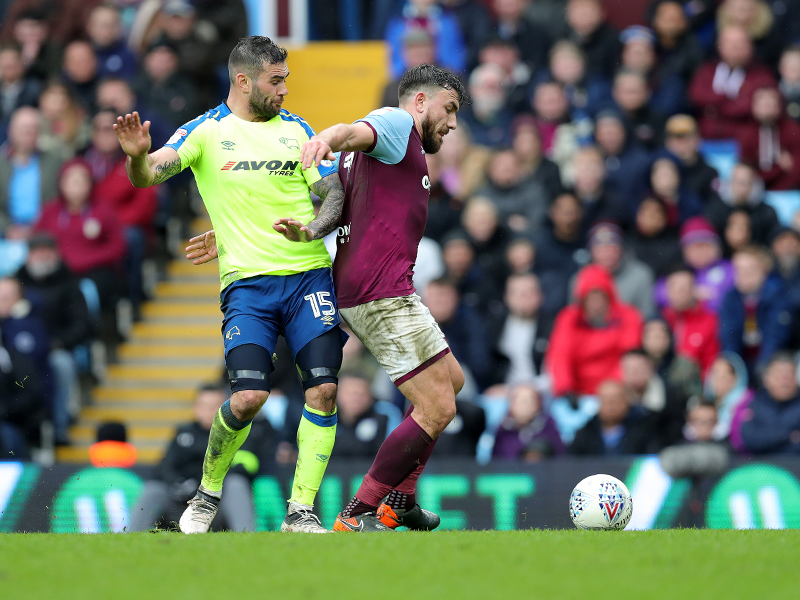 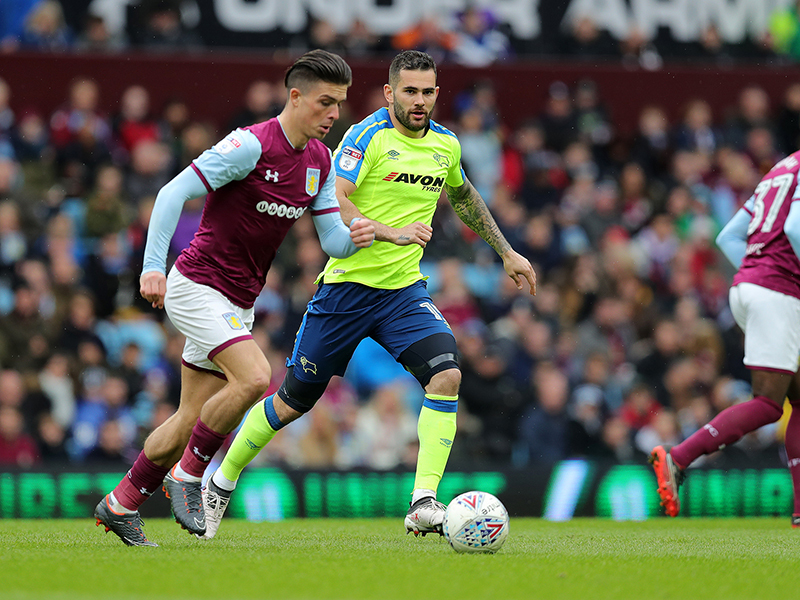 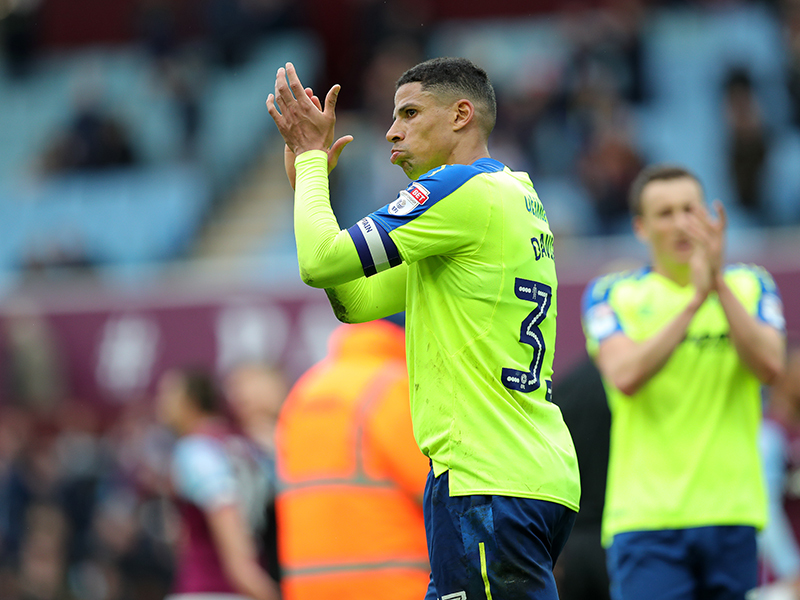 Aston Villa needed a late equaliser from Lewis Grabban to prevent Derby County from coming away from Villa Park with all three points on Saturday. 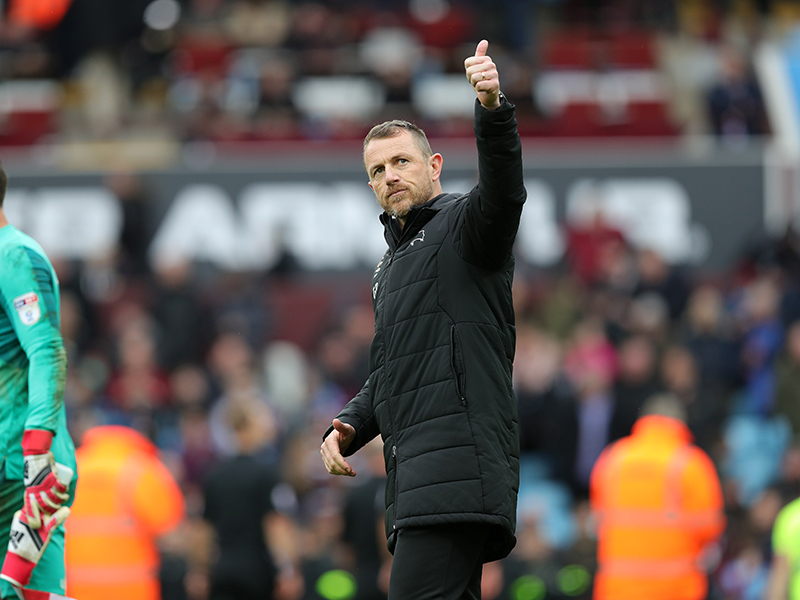 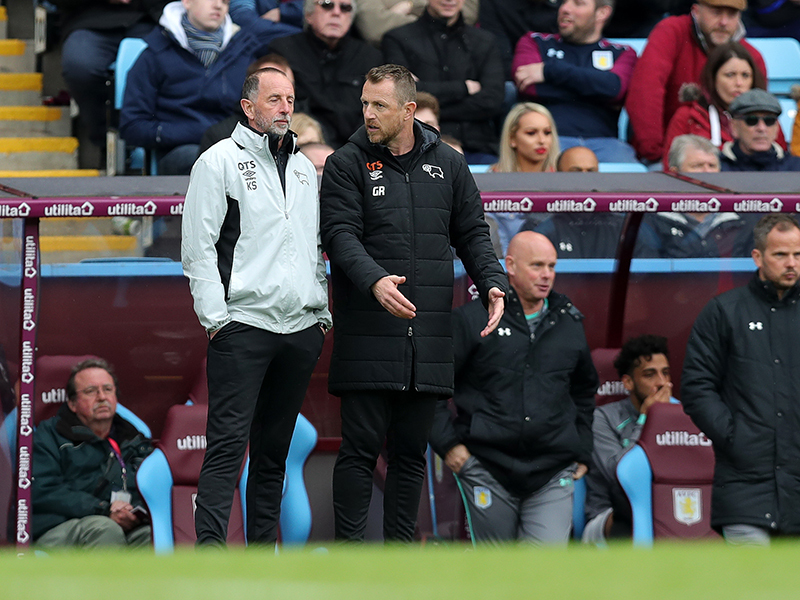 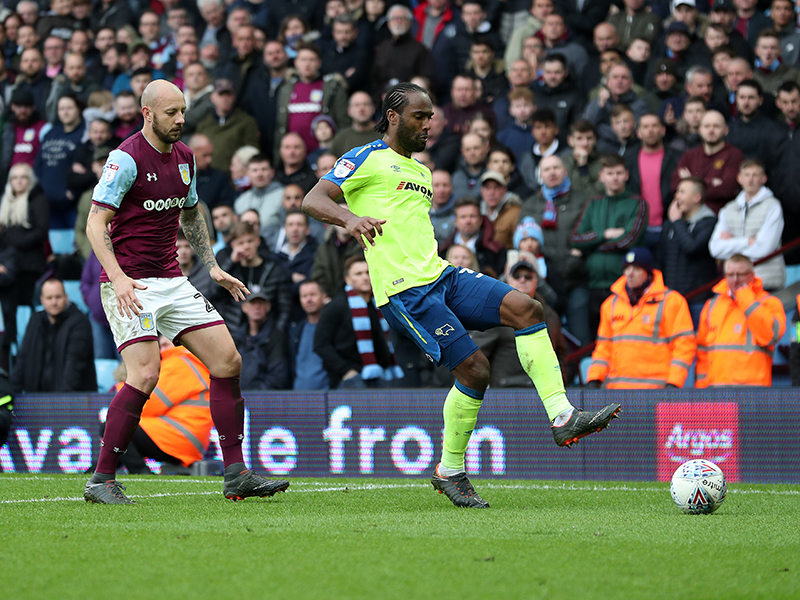 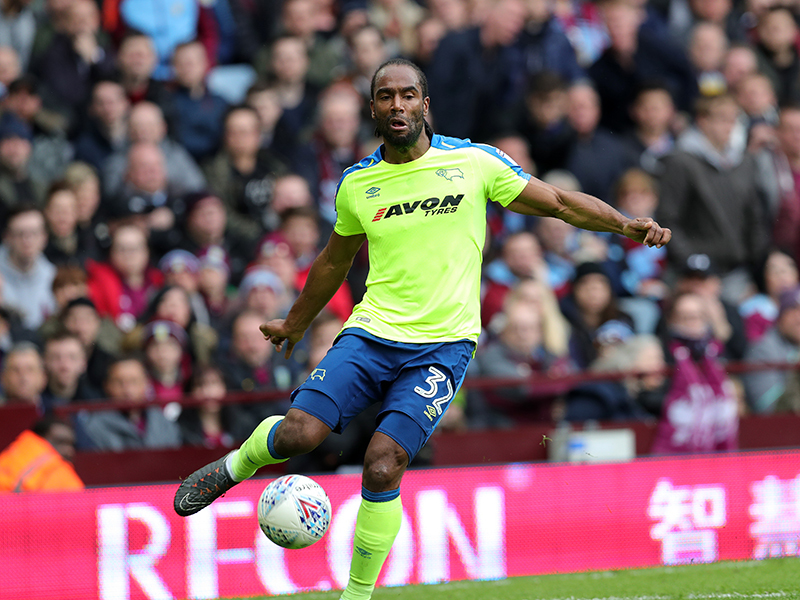 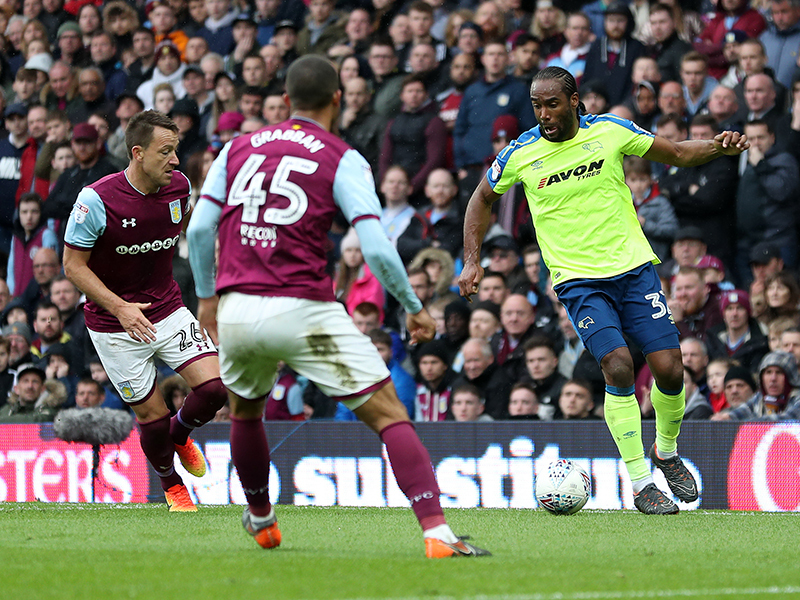 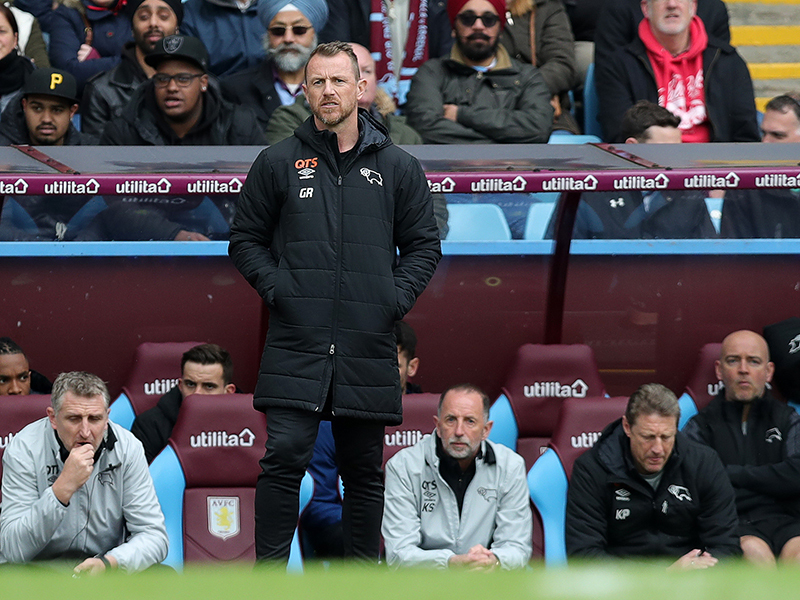 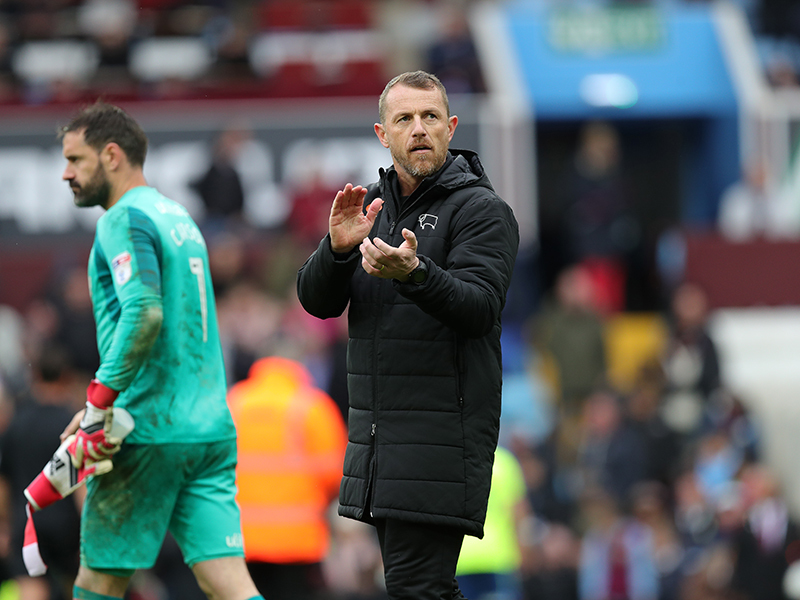 Cameron Jerome's first career goal against the Villans put Gary Rowett's side in-front early in the first half, and for long periods it looked like that strike would be enough. 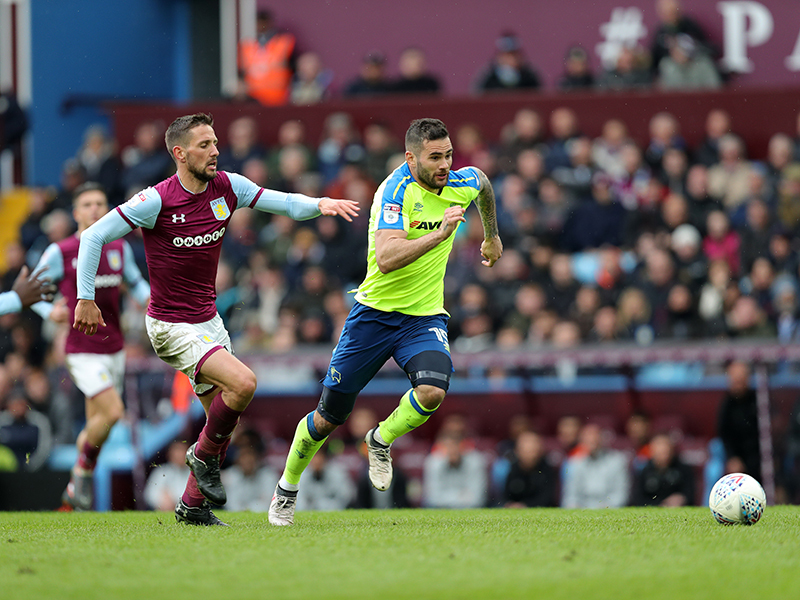 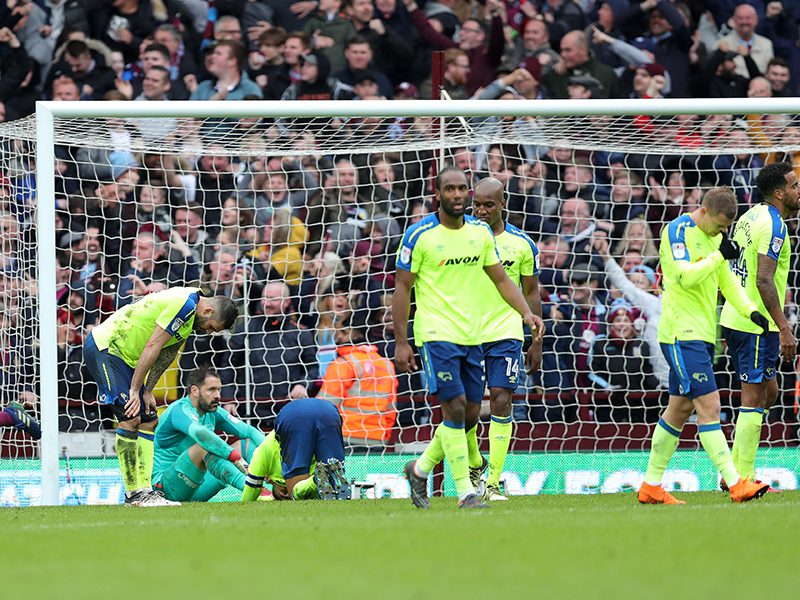 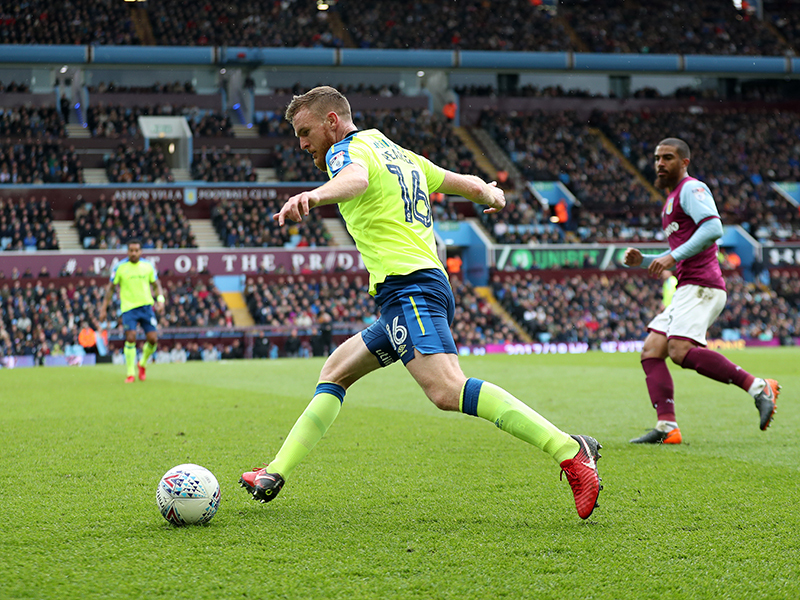 Villa piled on the pressure though, and they drew level in the 84th minute thanks to Grabban's 20 goal in the Sky Bet Championship this season. 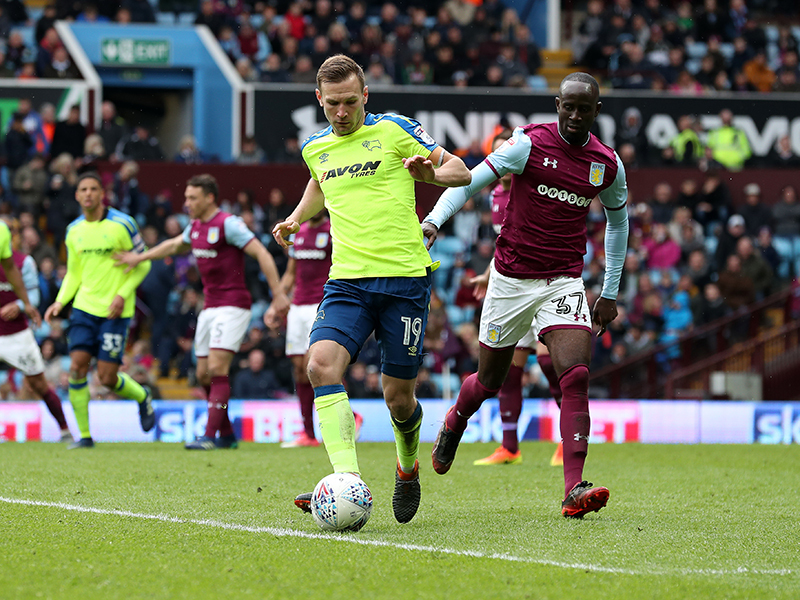 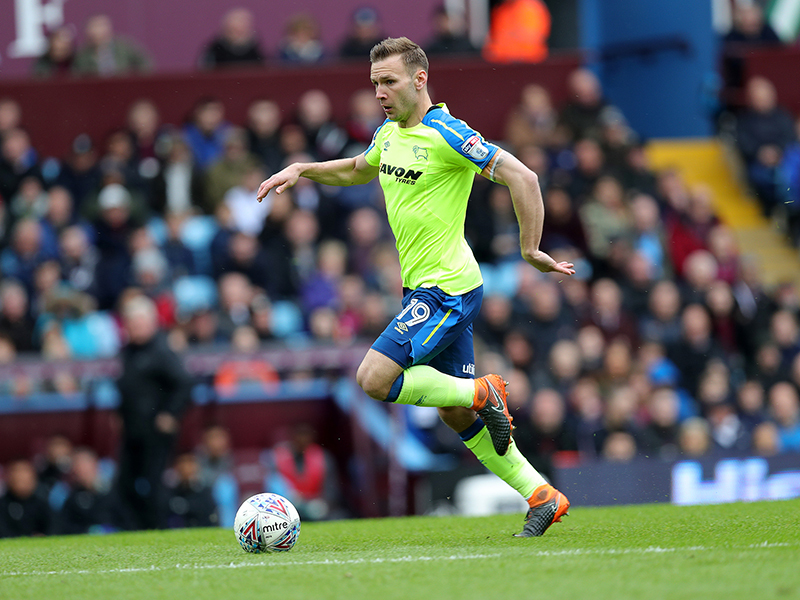 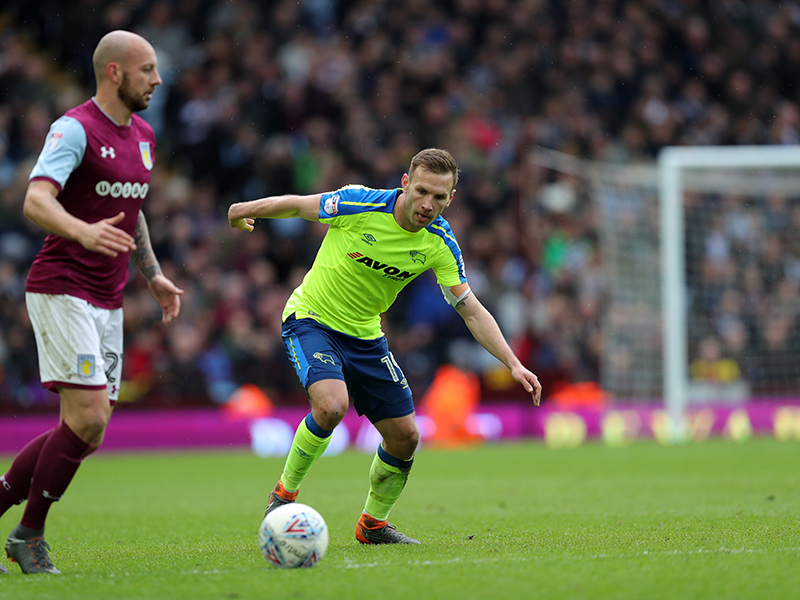 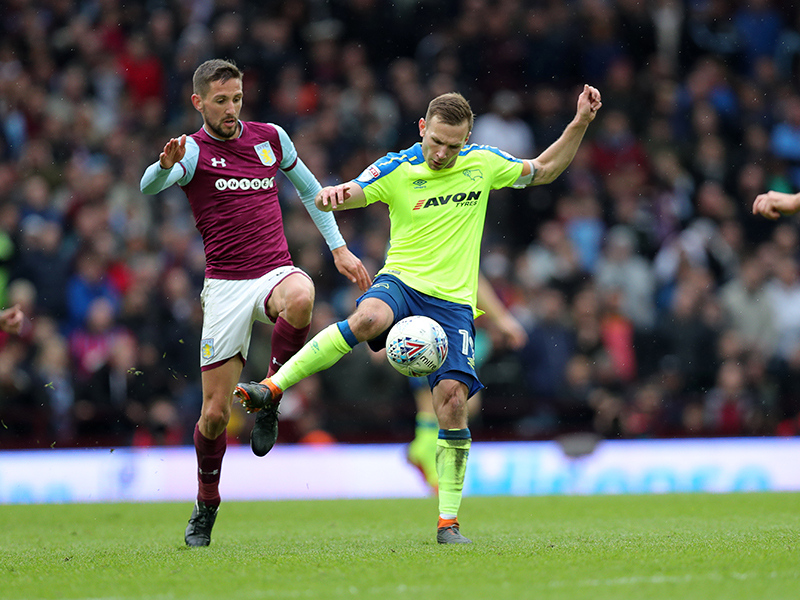 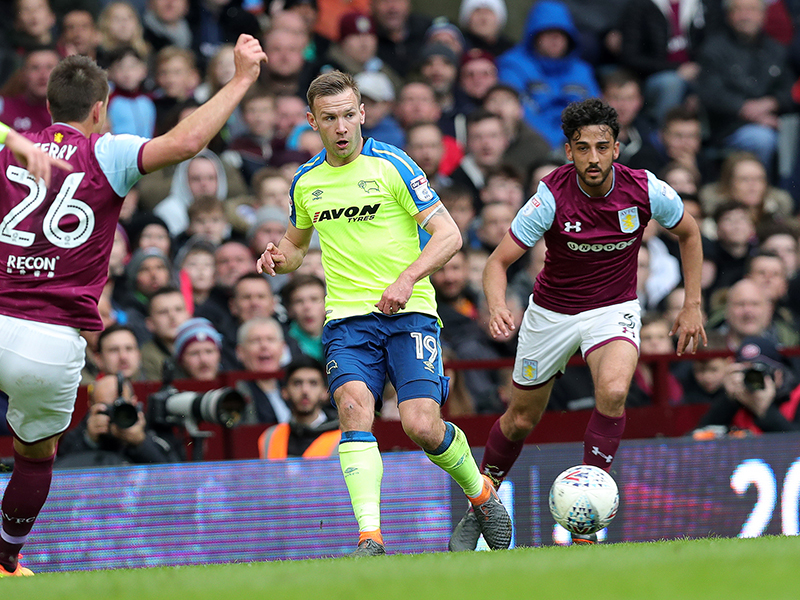 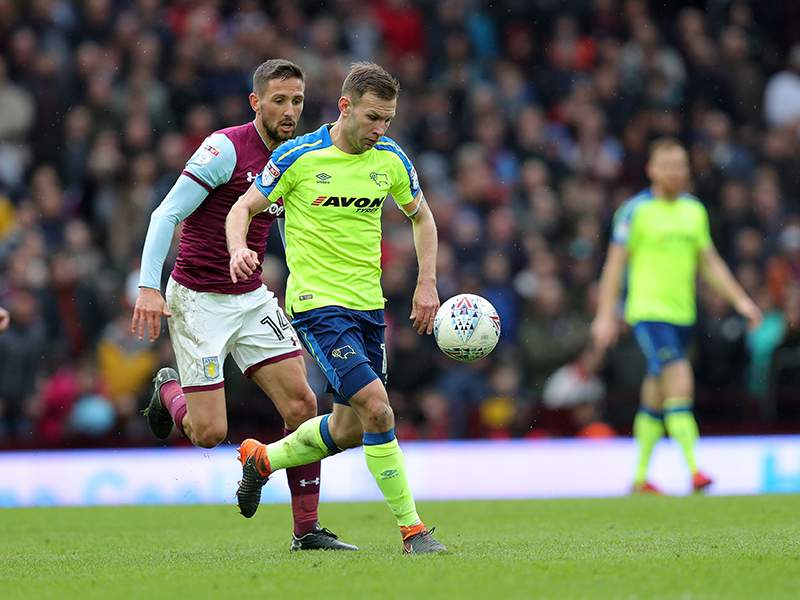 Nearly three years after he left the club, this was Andreas Weimann’s first return to Villa Park and he looked sharp in the opening moments. 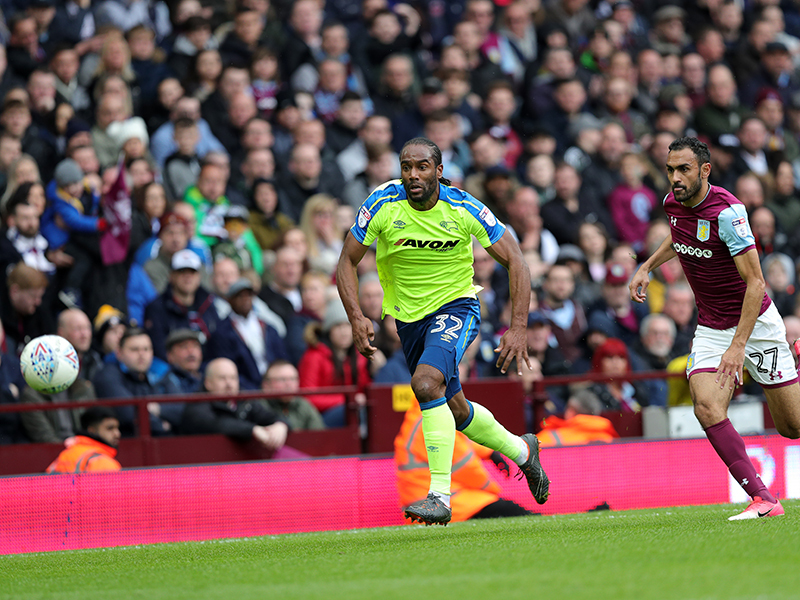 First, he fed Jerome with a ball in-behind before the offside flag halted what seemed like a promising break, before the Austrian set up the striker for his third goal in five days with 14 minutes gone. 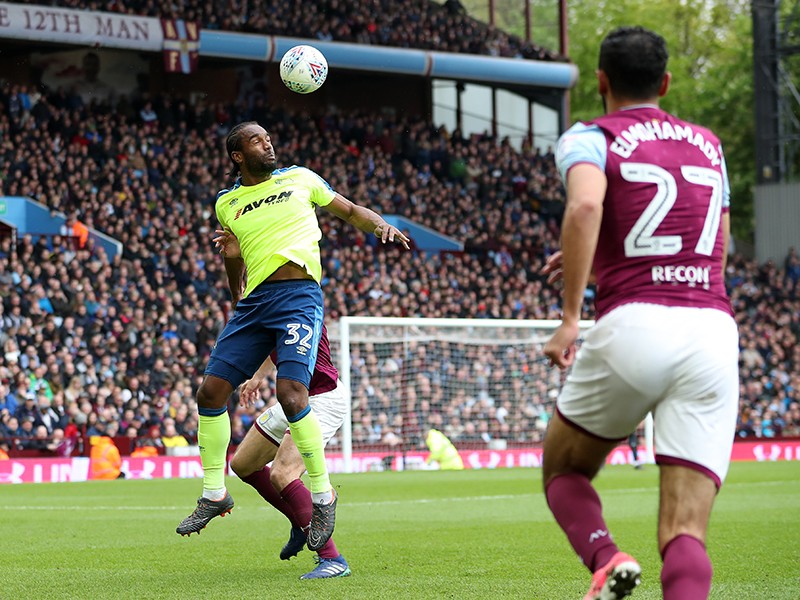 Similar to Andre Wisdom’s assist against Cardiff City; Weimann robbed Neil Taylor on the by-line before pulling the ball back, and Jerome swept a clinical finish into the bottom corner. 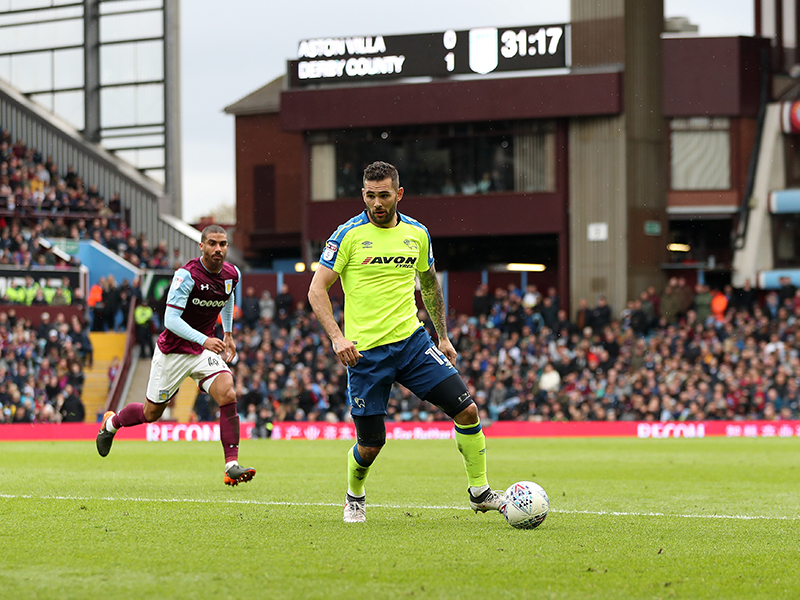 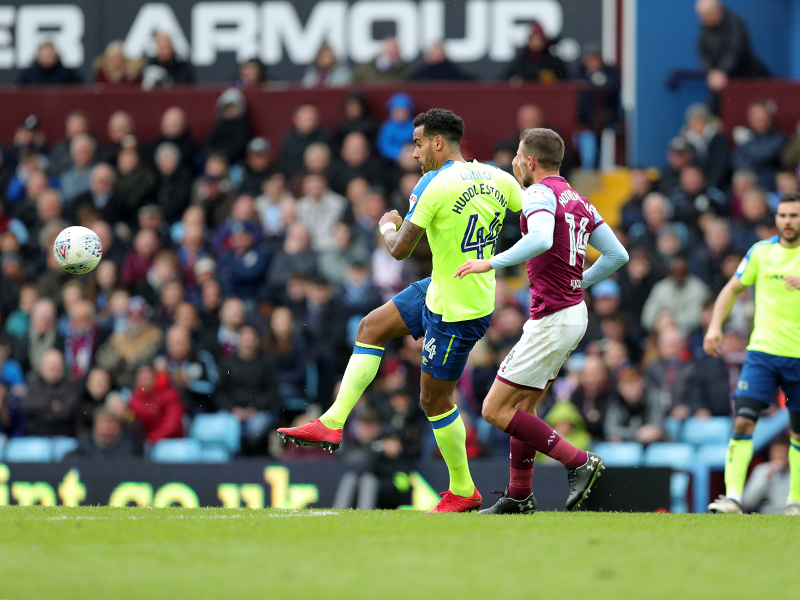 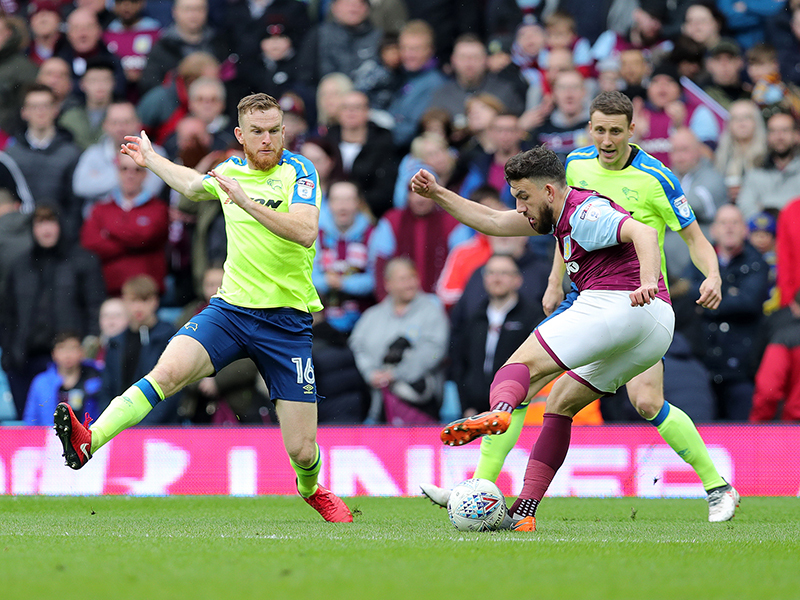 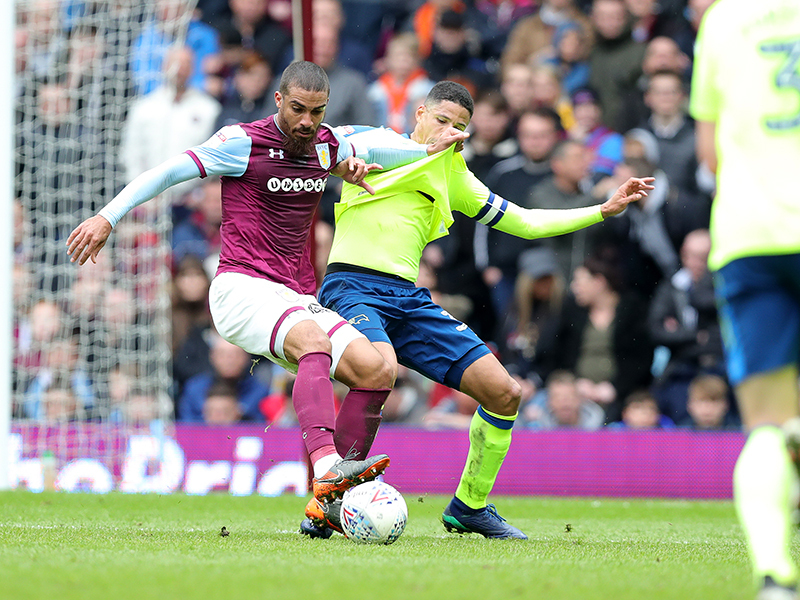 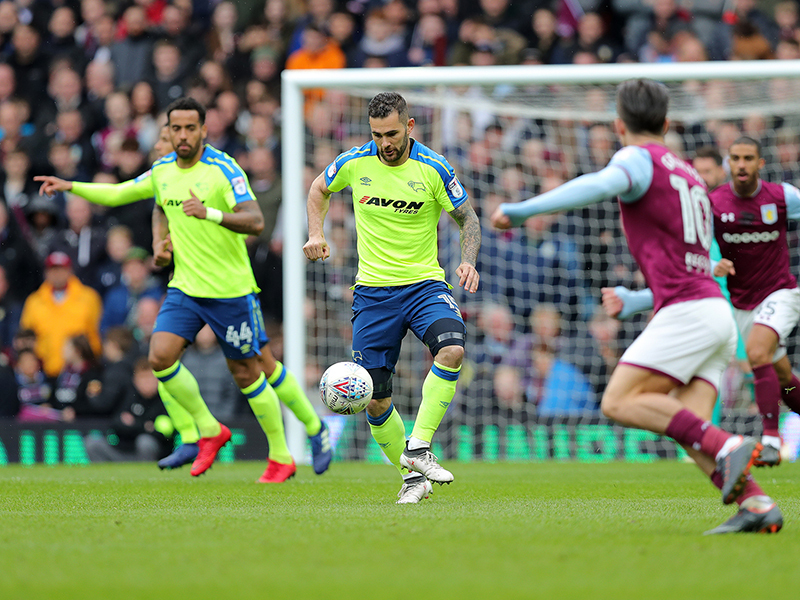 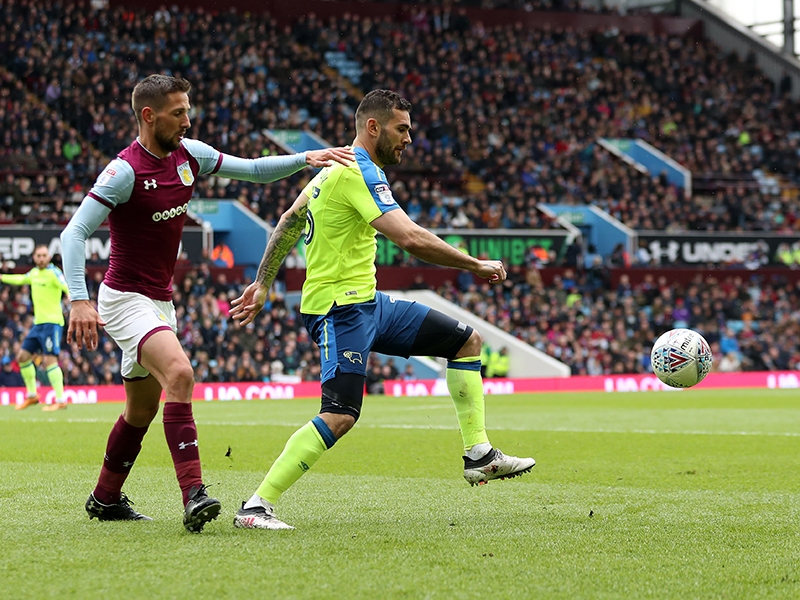 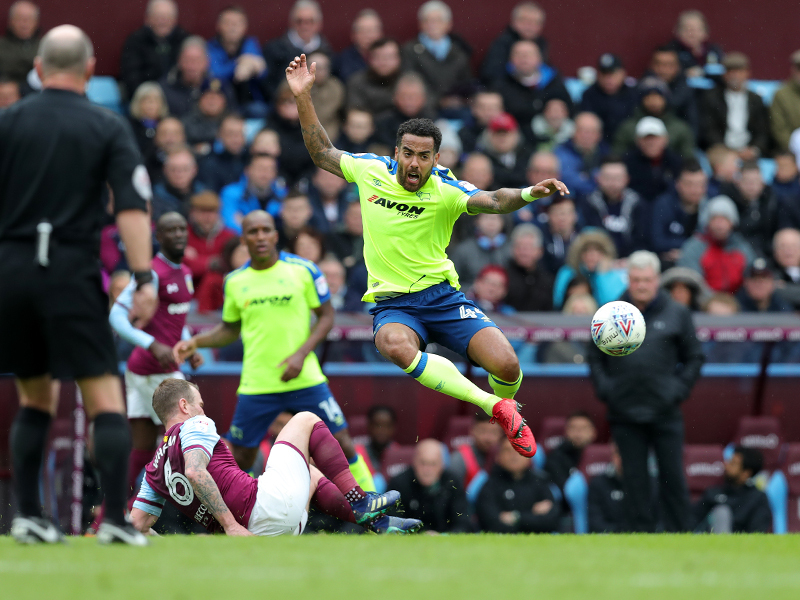 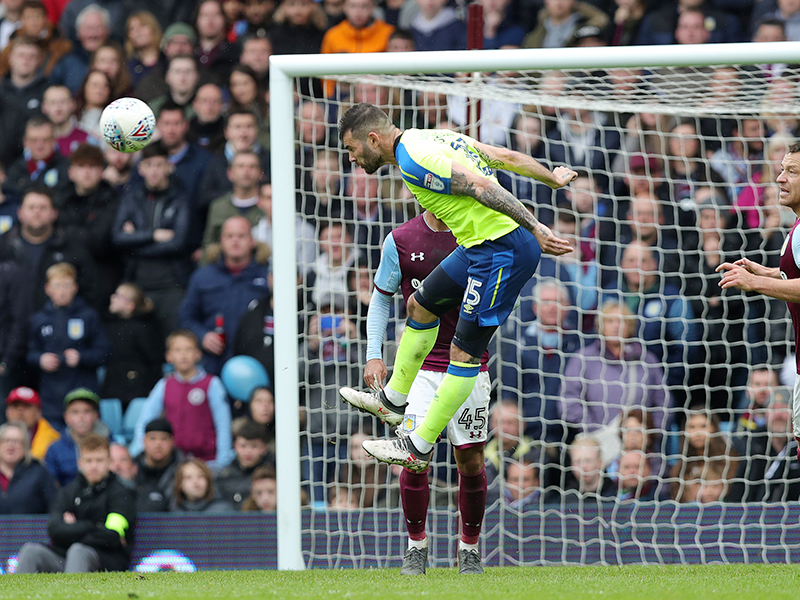 Grabban spurned a glorious opportunity to get his side level on 25 minutes as he connected well to Albert Adomah’s cross, but he could only direct a free header over the crossbar. 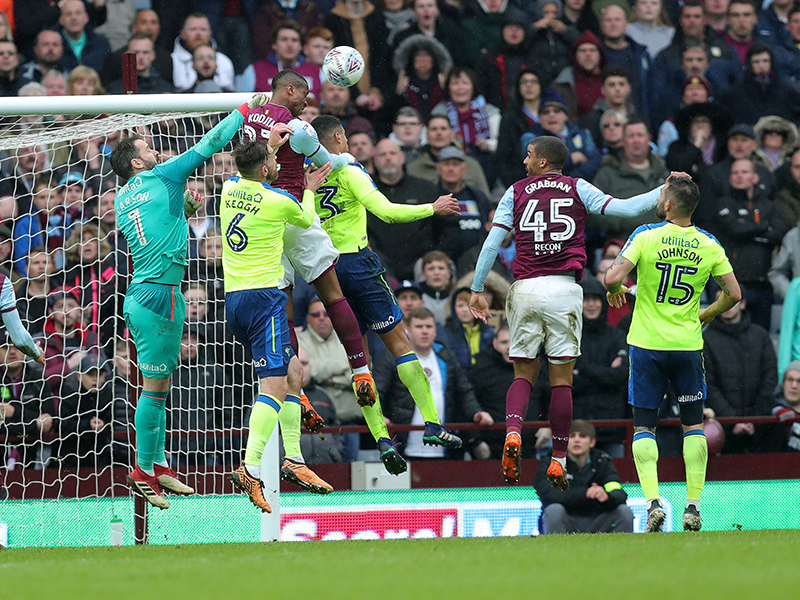 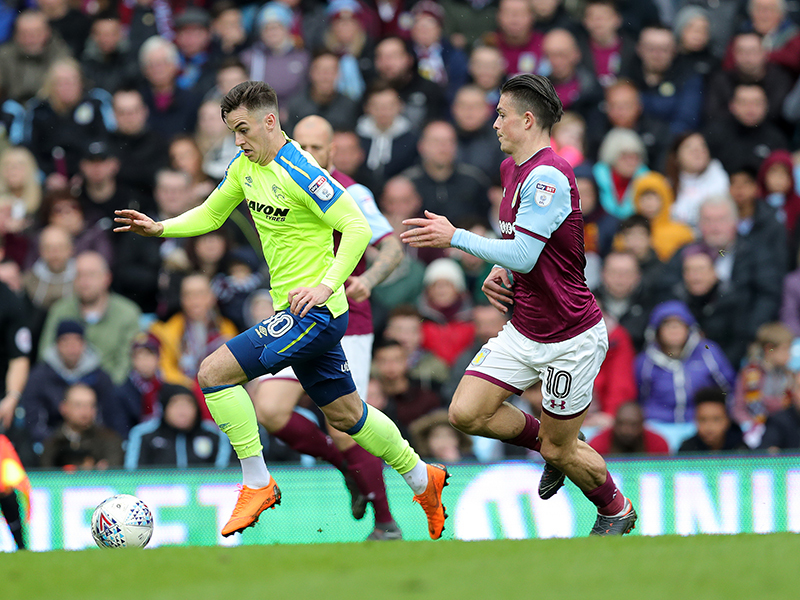 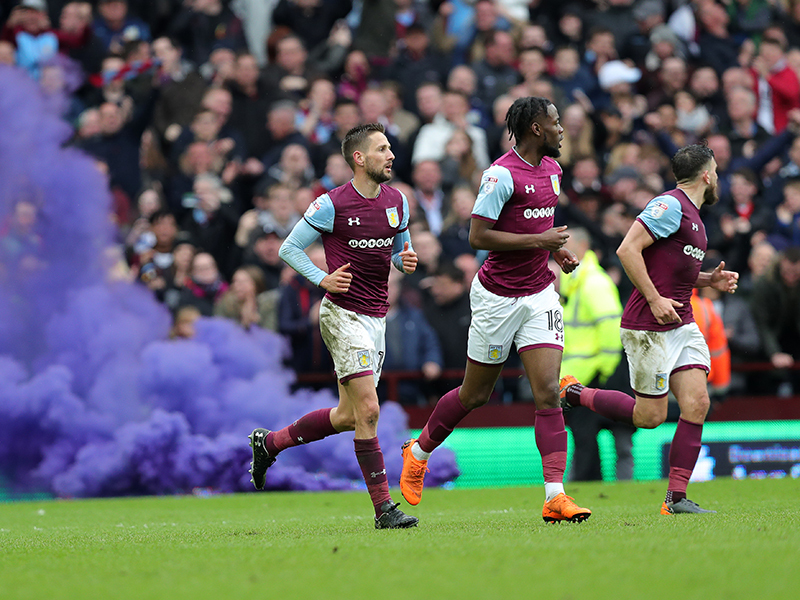 Jerome had a similar opportunity moments later, but he nodded straight into the arms of Sam Johnstone, before Scott Carson stood firm to thwart Jack Grealish after strong run on the half-hour mark. 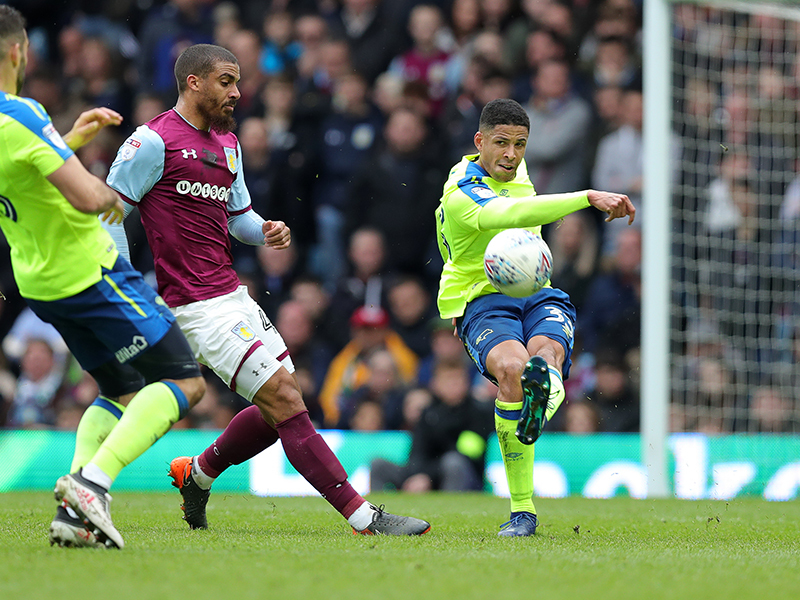 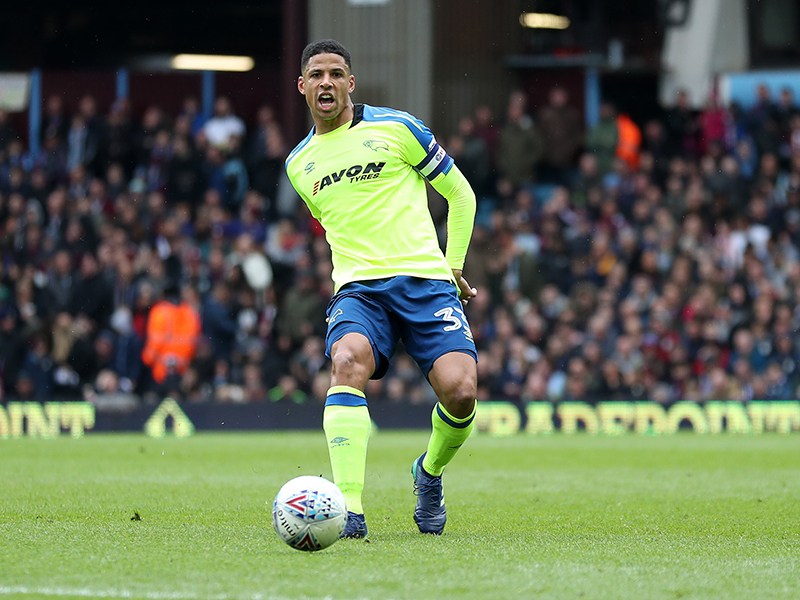 The hosts went even closer on the stroke of half-time after Curtis Davies miraculously hooked Adomah’s low cross away from goal, with Grabban heading onto the crossbar from the following ball into the box. 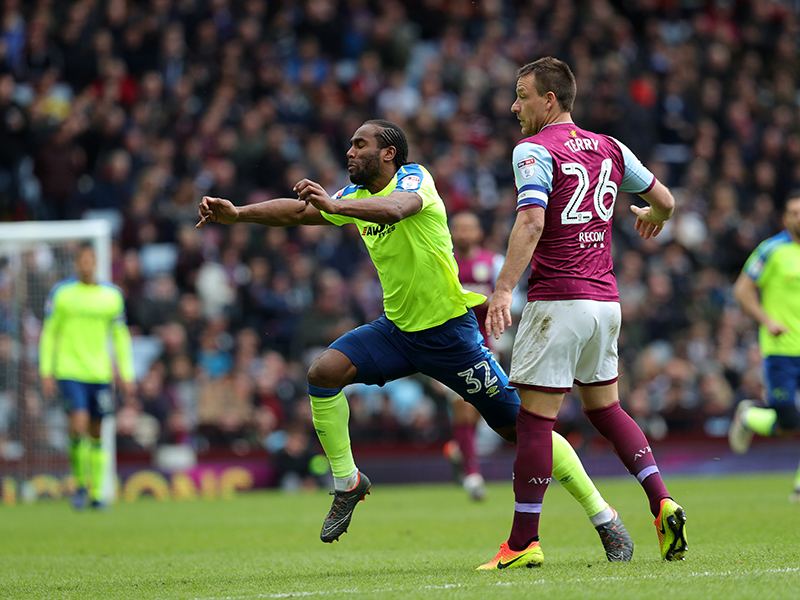 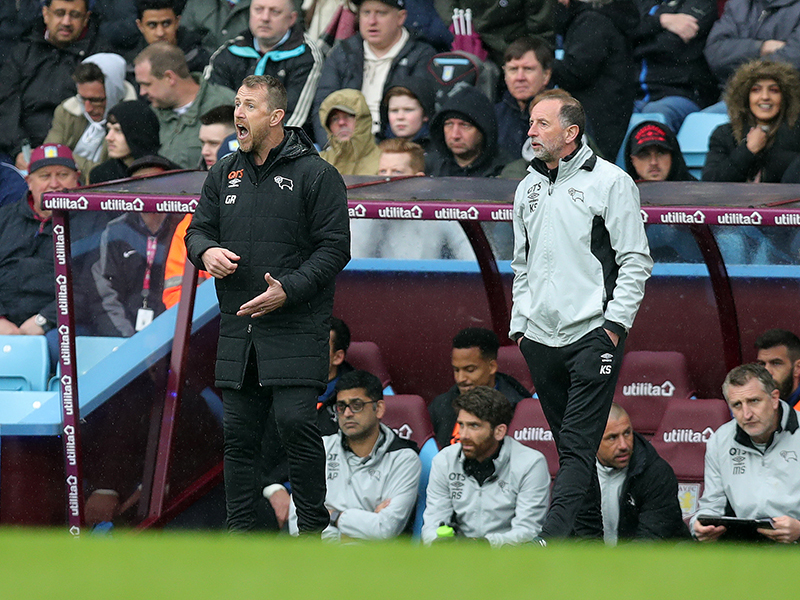 Derby continued to threaten on the counter-attack in the second-half with Weimann an influential figure. 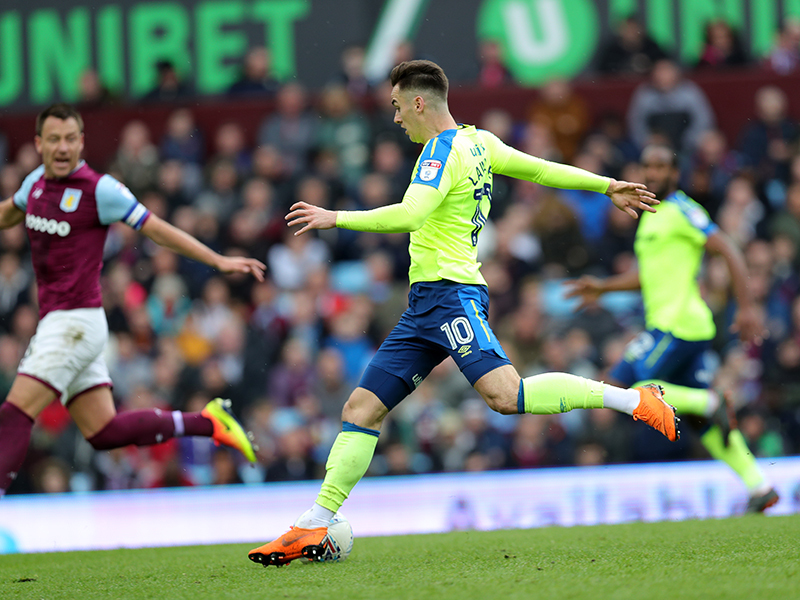 He switched play towards Tom Lawrence and the No.10 cut inside James Chester before forcing a good save from Johnstone. 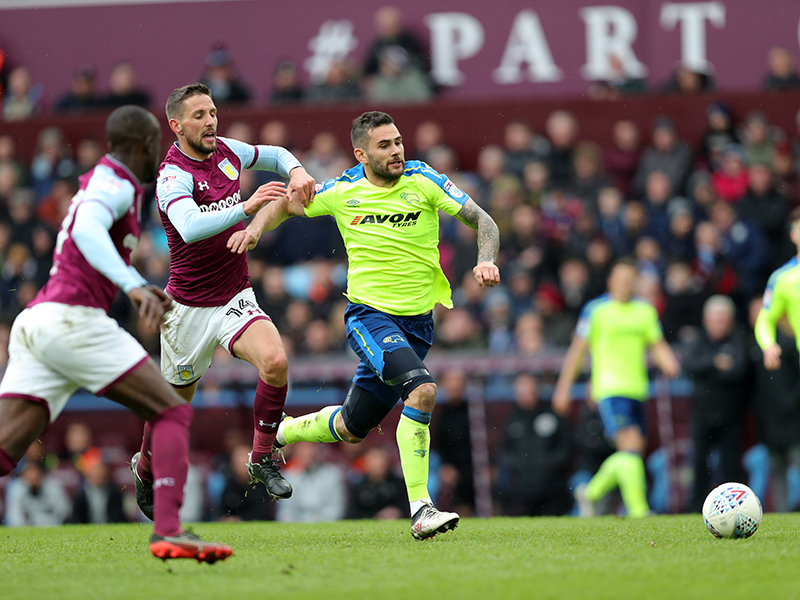 Villa settled into their rhythm from that point and begun to dominate the ball as well as the chances. 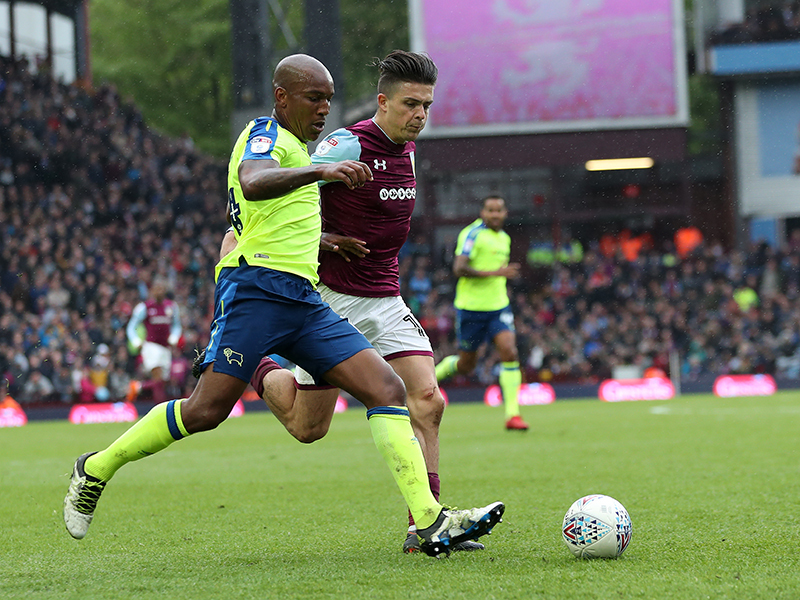 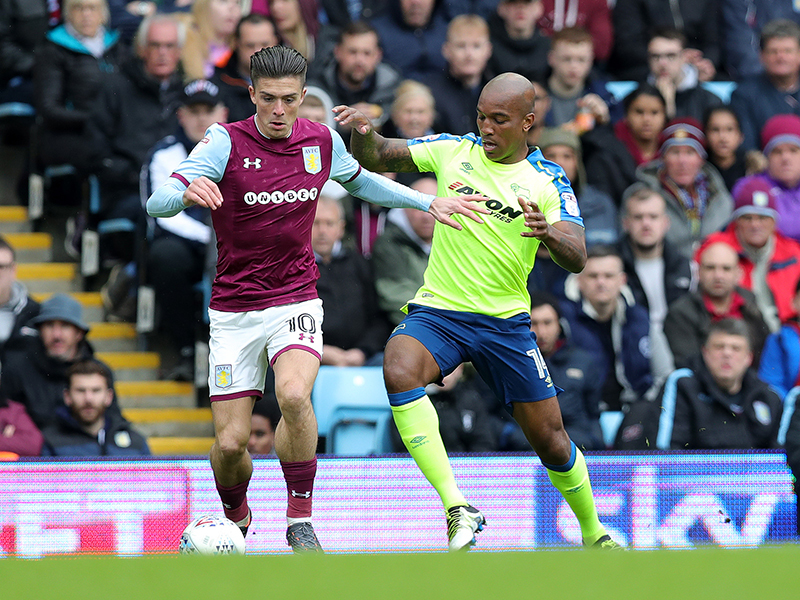 Jonathan Kodjia caused problems off the bench and Grealish fired over from long-range after an hour. 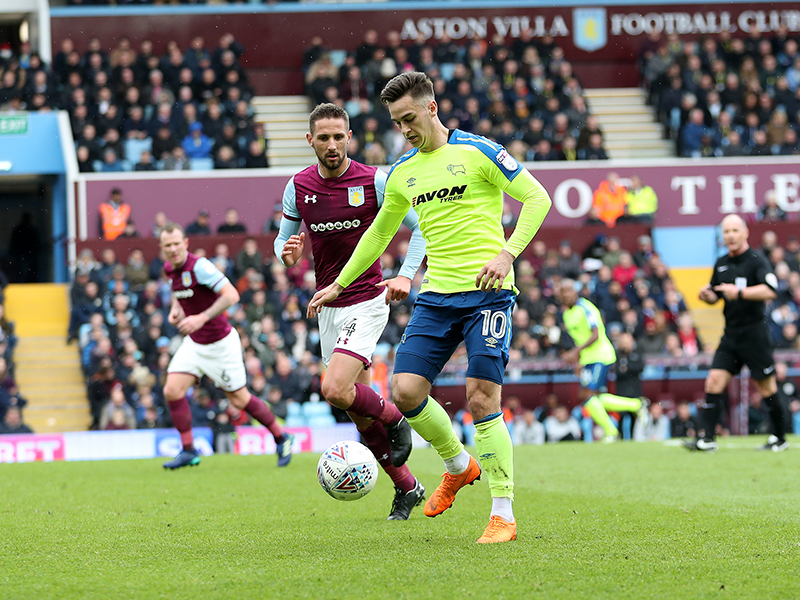 Conor Hourihane had his first sight of goal from a free-kick after Lawrence brought down Grealish but Carson was equal to it, before the former Barnsley midfielder inexplicably scuffed over the bar from inside the six-yard box. 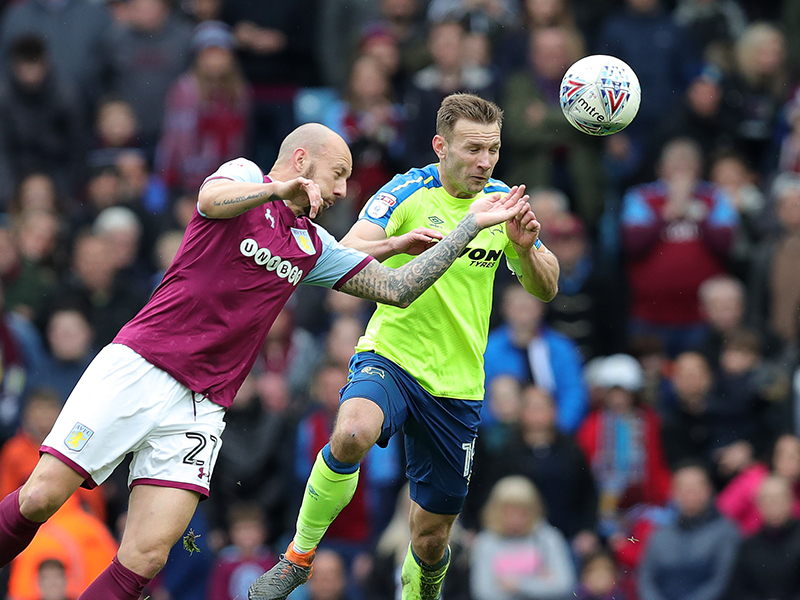 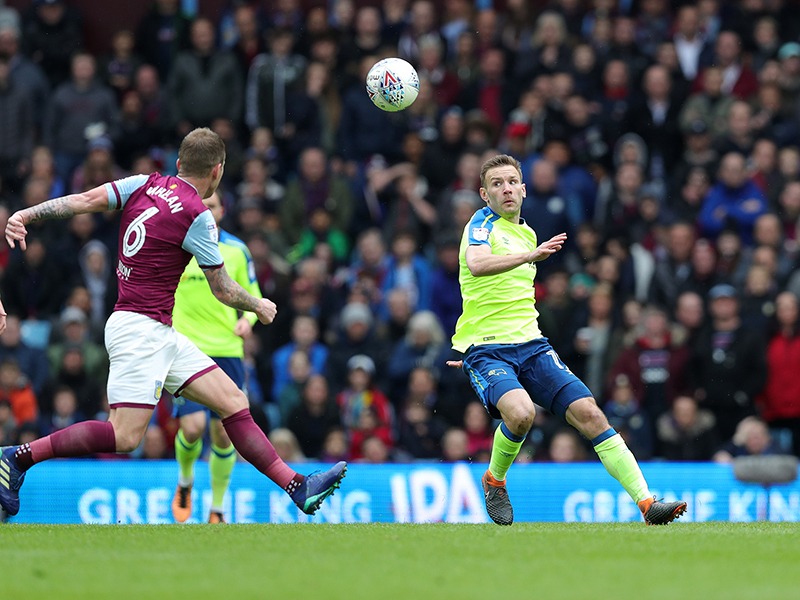 Weimann forced a save from Johnstone after a rare break with 73 minutes played before Villa went down the other end, with Kodjia heading against the bar from point-blank range. 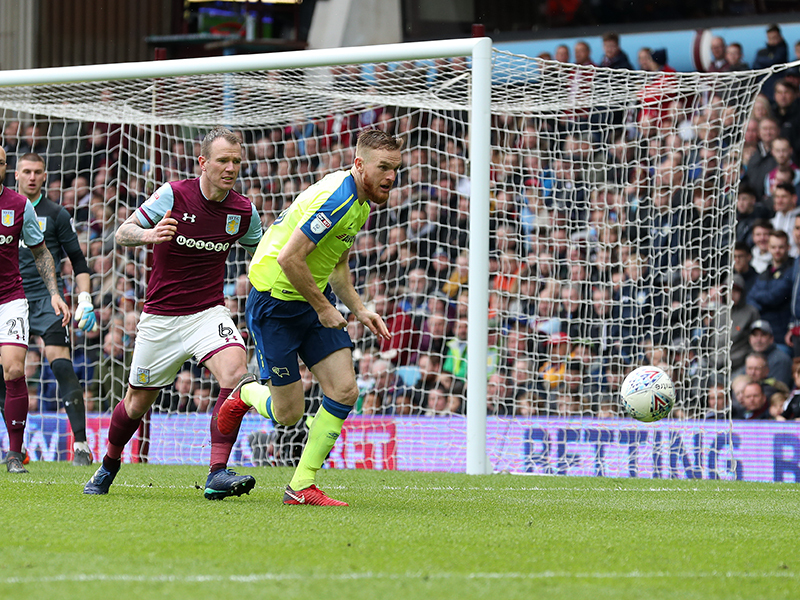 Villa finally got their equaliser with six minutes to go when Grabban tapped home from close range after another strong stop from Carson. 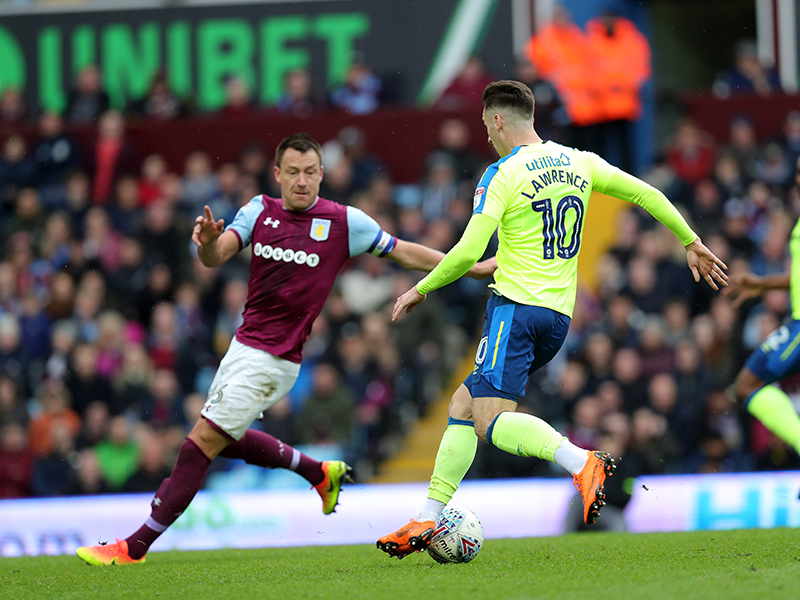 Aston Villa: Johnstone; Elmohamady, Chester, Terry, Taylor (Hutton, 23’); Snodgrass, Hourihane, Whelan (Onomah, 81’), Adomah (Kodjia, 59’); Grealish; Grabban. 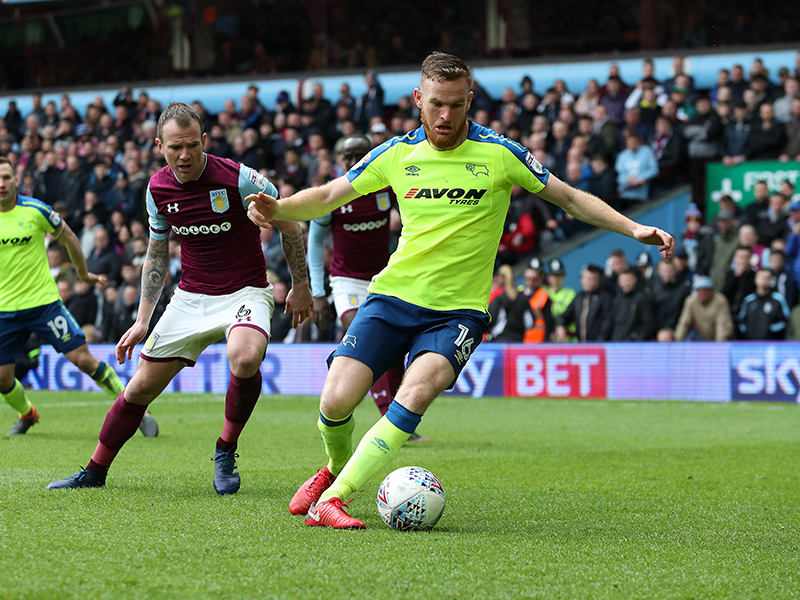 Derby County: Carson; Keogh, Davies, Pearce (Hanson, 73’); Wisdom, Huddlestone, Johnson, Forsyth; Weimann (Palmer, 80’), Jerome, Lawrence (Vydra, 68’). 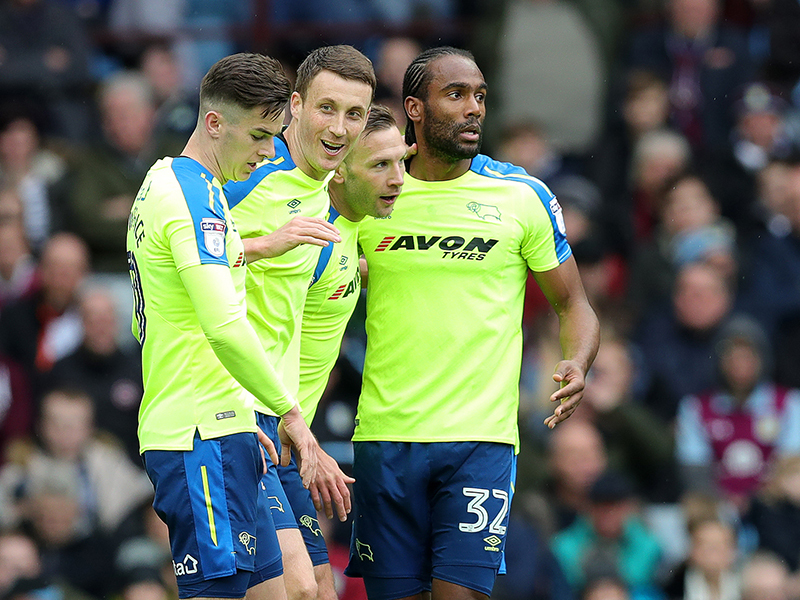 Substitutes not used: Roos, Nugent, Olsson, Ledley. 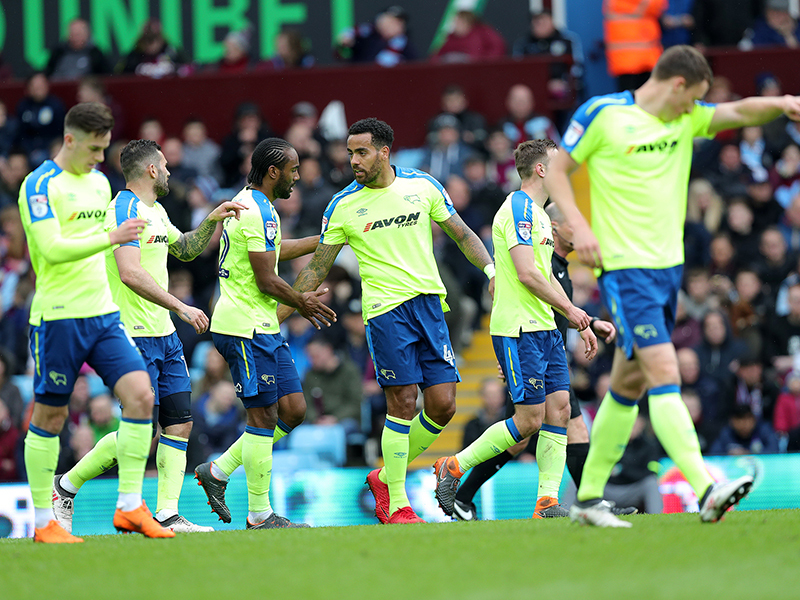 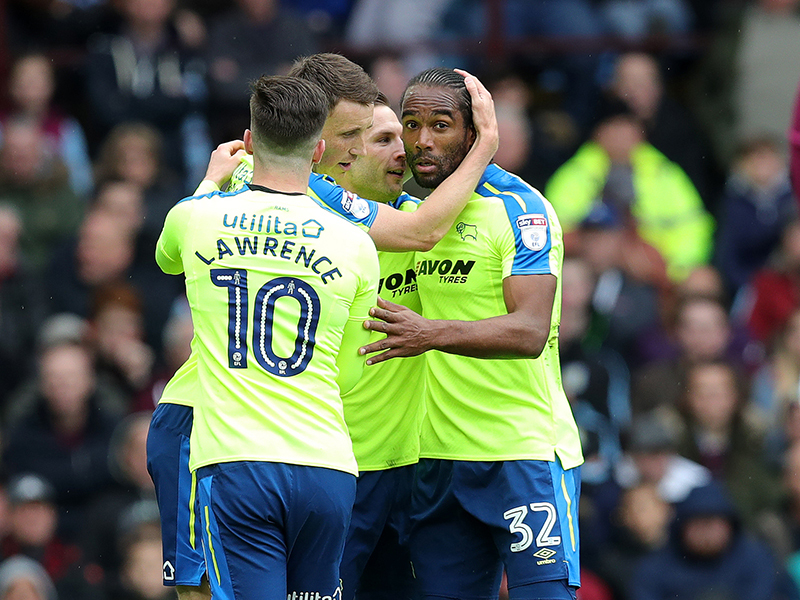 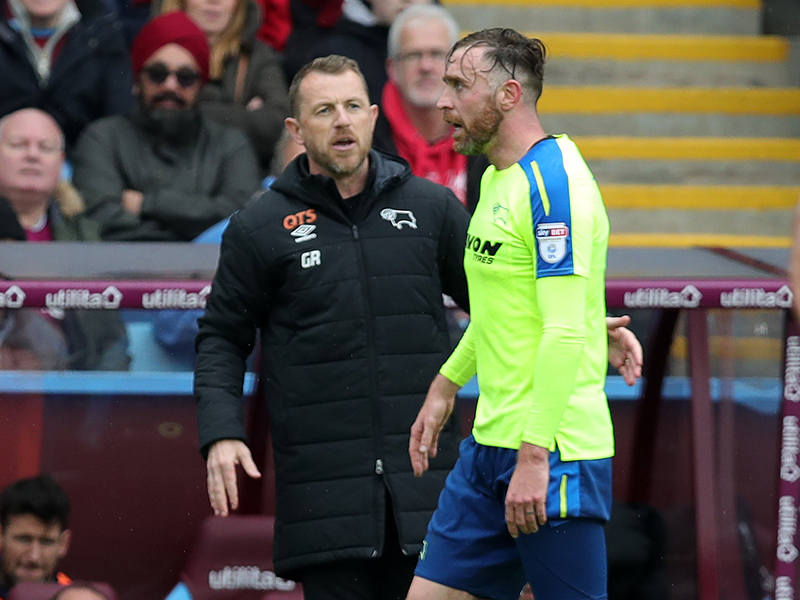 Derby held out for so long in the second-half but the Rams' back-line was finally breached by Grabban as the clock ran down. 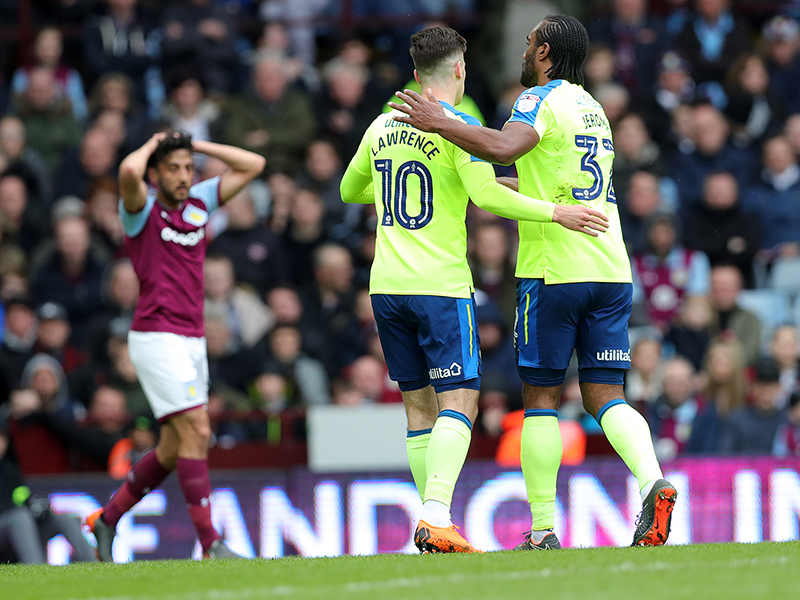 Carson got down well to keep out the initial effort but Grabban was on hand to tap the ball into the net for his 20th league goal of the season. 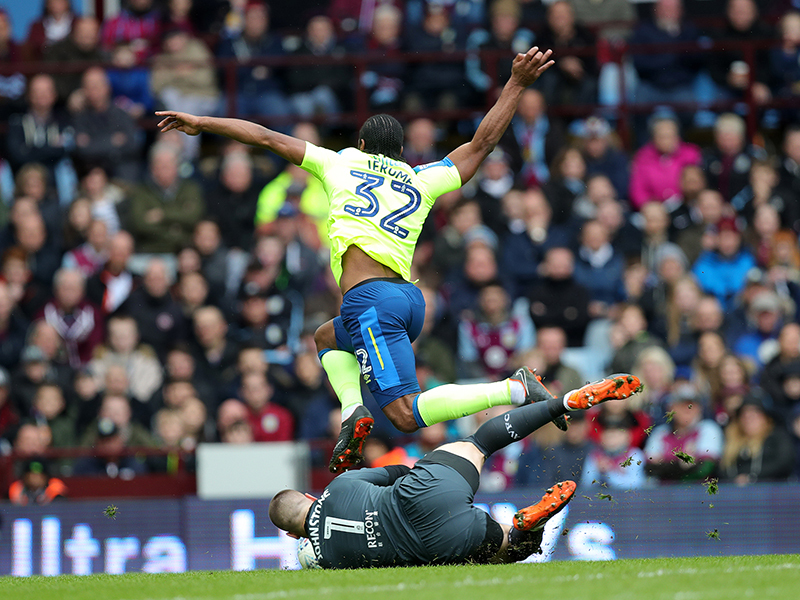 Even with the exceptionally high standards that he has set for himself this season, Davies’ performance was superb. 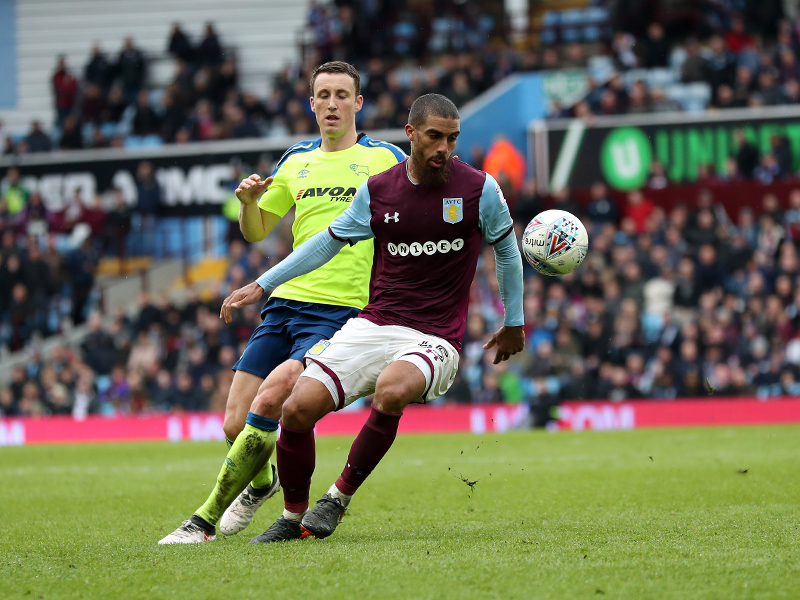 The centre-back kept Villa quiet for large periods, with the highlight coming in the first-half when he somehow hooked Adomah’s low ball away from danger on his own goal-line. 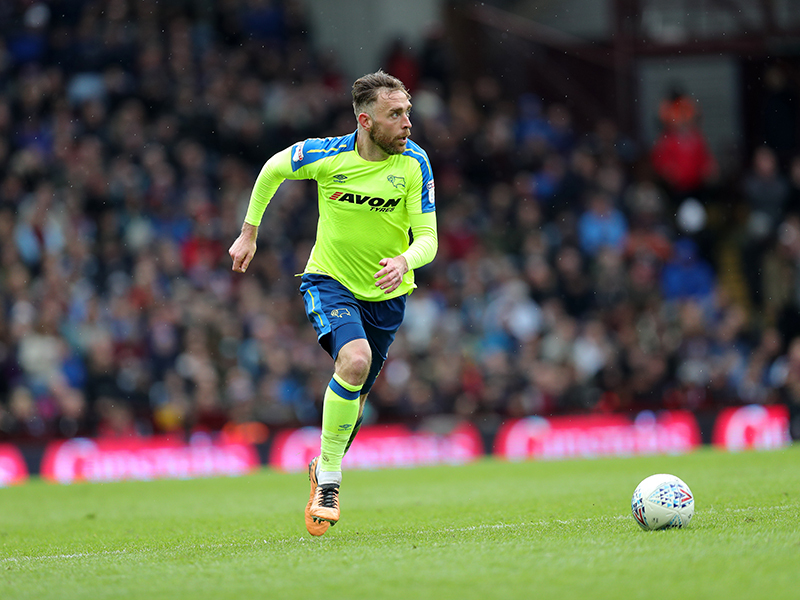 Richard Keogh and Craig Forsyth deserve a mention from a defensive point of view, whilst Weimann was electric in attack. 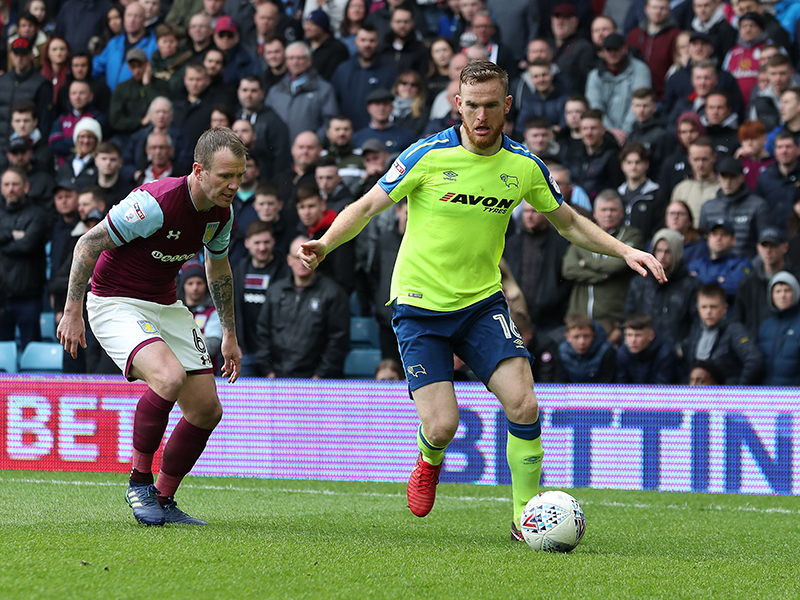 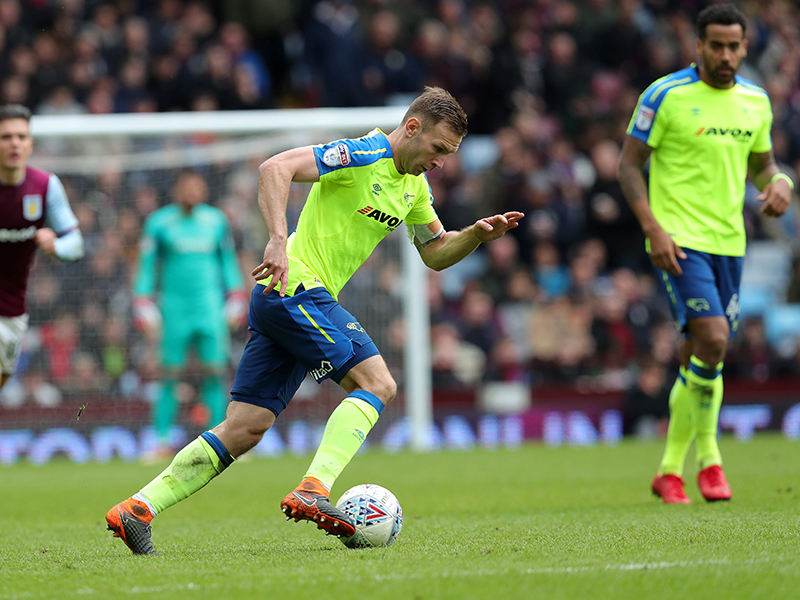 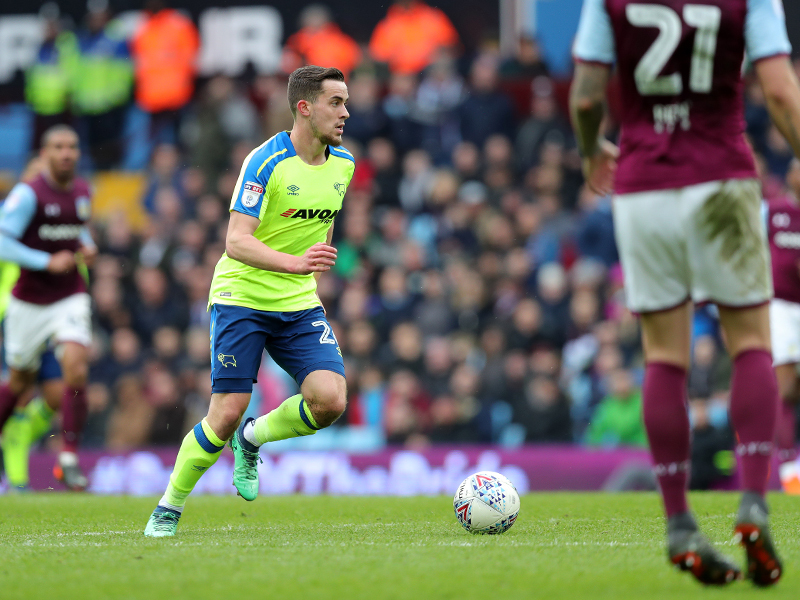 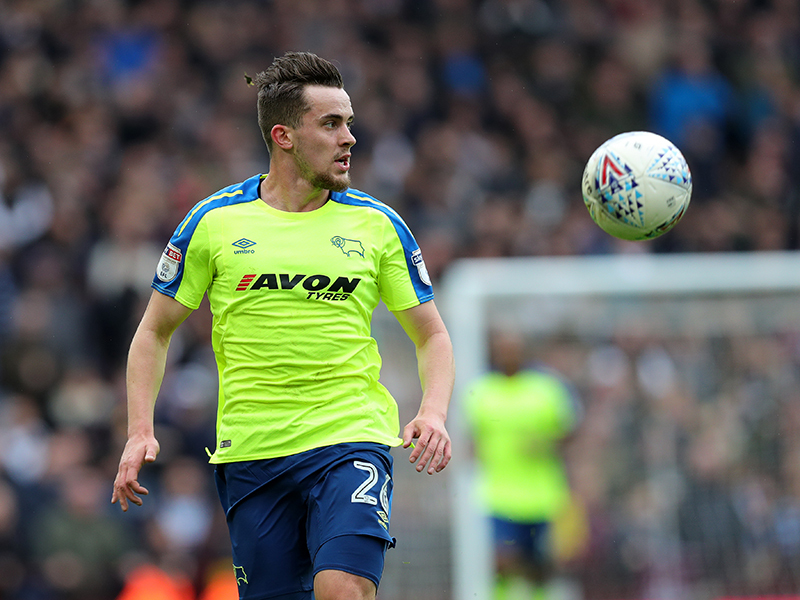 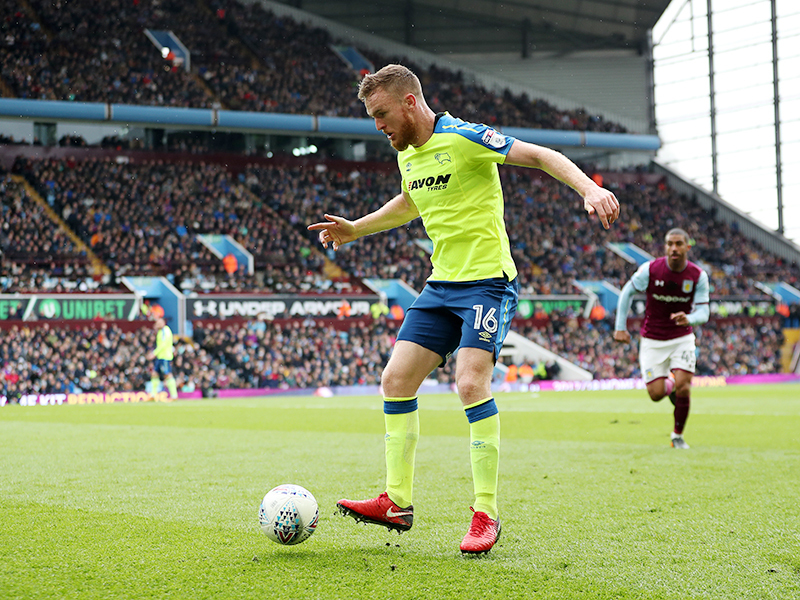 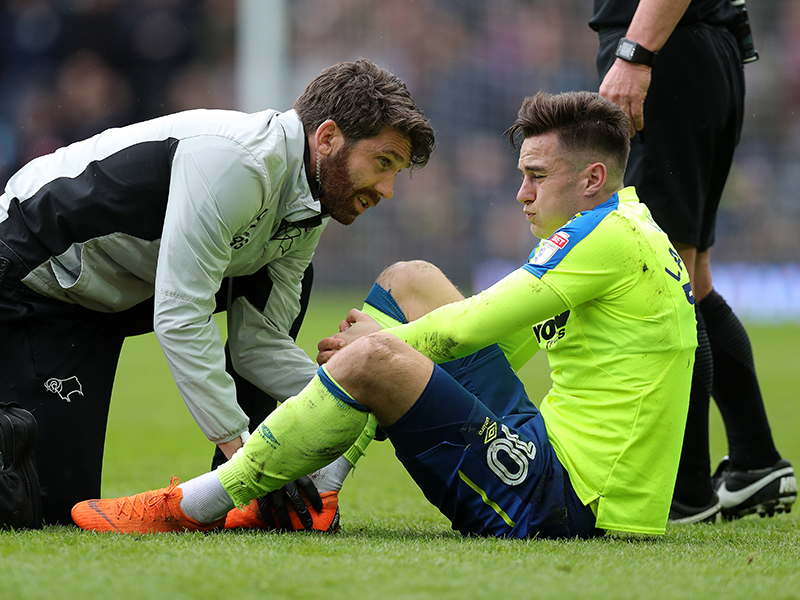 The Rams head back to Pride Park Stadium for their final Sky Bet Championship game of the season against Barnsley on Sunday 6th May, kick-off: 12:30pm.